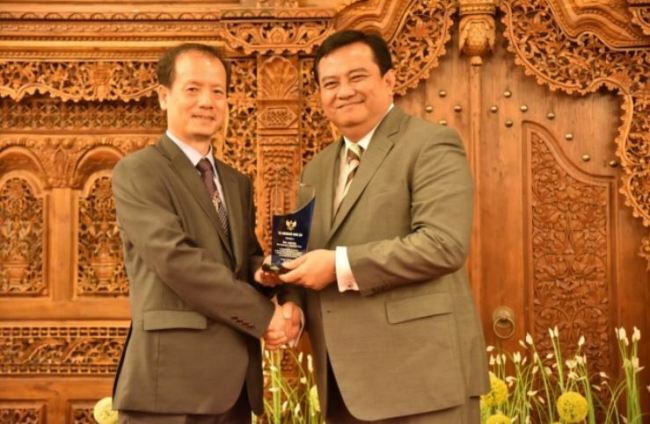 Indonesian Ambassador to Korea Umar Hadi on Aug. 26 conferred plaques of appreciation to two Korean companies that employ Indonesians here. 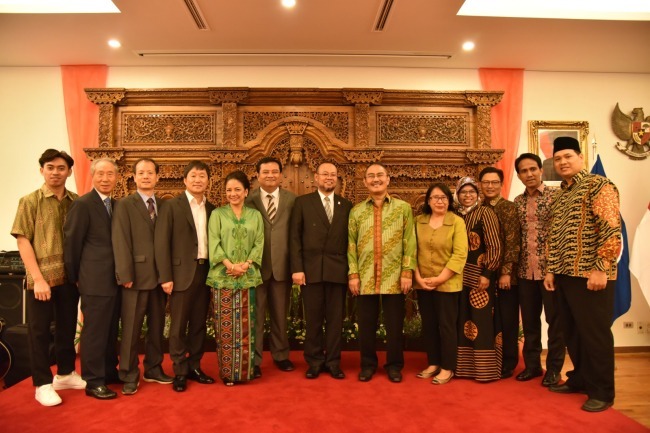 Buheung System and DK&D received awards following a rigorous selection process by a panel of judges comprising Indonesians in Korea and embassy staff, according to the diplomatic mission. The companies provided Indonesians the same wage as Koreans, accommodations and other facilities and holidays as specified by law. They also protected the workers’ conditions with due diligence and care. There has been no industrial accident or death at the firms, the embassy said. DK&D, which employs 14 Indonesians, has plans to establish an overseas branch in Indonesia. Aside from the appreciation plaques, the ambassador also bestowed various awards to those selected for their hard work, promotion of Indonesian culture and protection of countrypeople here. Saiful Ansori was honored for his dedication to work at his company Byulpyosusemi, which he pursued alongside university studies. The cultural promotion award was given to Soekaryadi, who introduced Indonesia’s traditional performance Jarana at various embassy and cultural events and strengthened people-to-people ties. Rima K. Moedjiono was honored for protecting and assisting her countrypeople in times of difficulty.